I’ve always imagined that the frontman of a metal band would ride something like a V-Rod with open pipes. But Mike Hranica of Devil Wears Prada has a taste for classic machinery. 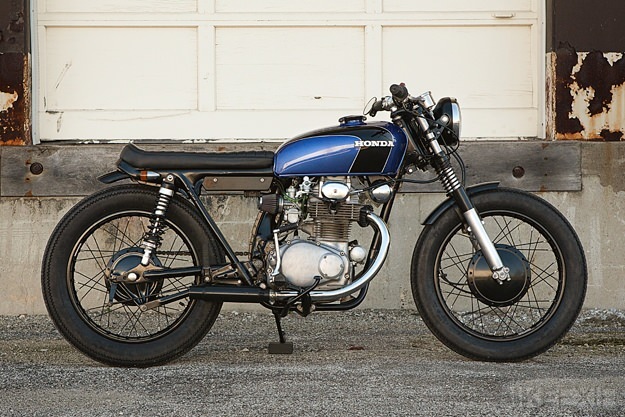 Like this elegant and deceptively simple Honda CB350. 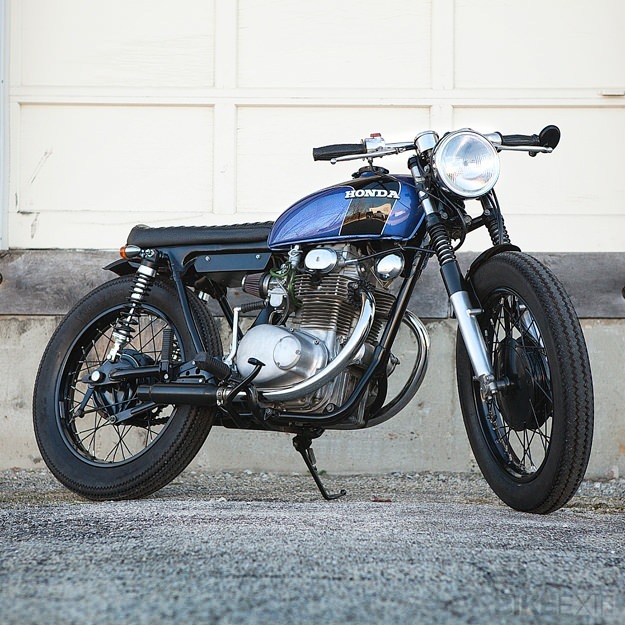 Hranica wanted a low 70s-style moto to cruise around his home in Chicago, and he was especially taken by the Eric Meglasson/Holiday Customs CB450 cafe racer—a big hit from a year ago. Jason Koschnitzke at Mottomoto rebuilt the engine to stock specs. It’s now fitted with Mikuni VM30 carbs and K&N pod filters; the exhaust headers are stock but hooked up to shorty mufflers. The sparks come from Dyna mini coils and an Earth X lithium iron phosphate battery. 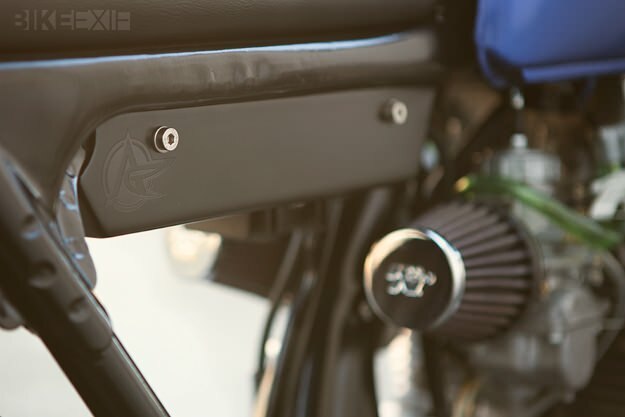 The subframe has been modified to suit the new seat style, and the paint, although custom, could be straight from a 70s bike brochure. 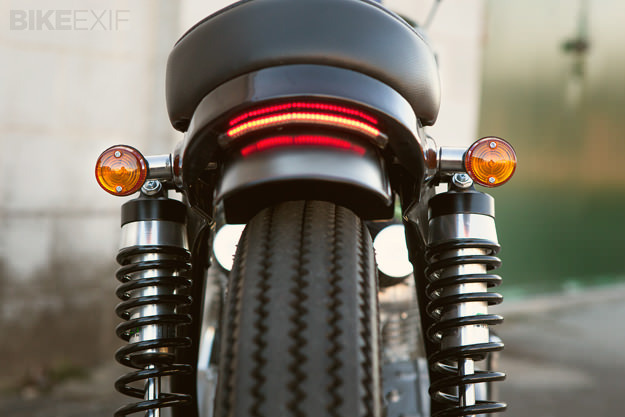 New bars and indicators complete the low-key but classy look. I’m sold. 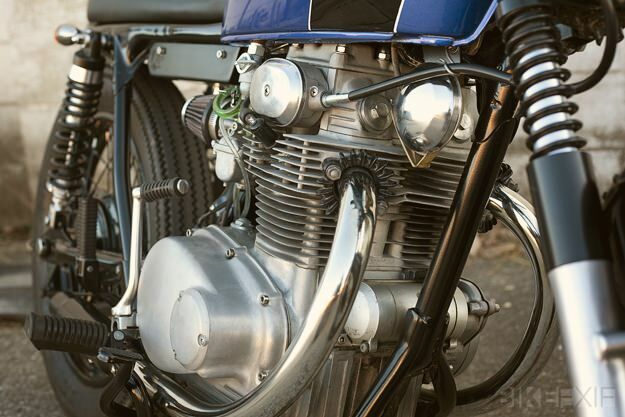 If you are too, check out Analog Motorcycles via their website and Facebook page.